Akron Canton Lawn Care has helped clients establish lawns and landscapes to be proud of. We combine great customer service with our commitment to quality to provide exceptional lawn care services such as fertilizer and weed control. From the green grass to the quality of the soil underneath, you can trust us to keep your yard looking healthy and great — top to bottom. We think our work speaks for itself. 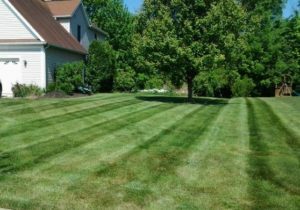 Here at Akron Canton Lawn Care we offer a unique residential lawn maintenance program in Cuyahoga Falls and Tallmadge Ohio. We offer fair prices on five or six application programs. 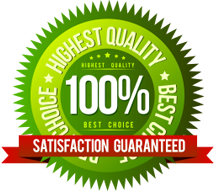 We guarantee you will be 100% satisfied and you can cancel anytime. This novel approach allows custom tailoring of your lawn services and the ability for you to terminate at any time for any given reason. We have long implemented and successfully managed our customer’s needs through this process and feel it is a great fit for our custom lawn care programs. Choose Akron Canton Lawn Care for Maintenance, Weed Control, Fertilization & More. Lawn Maintenance– complete turf care, including fertilizing and weed control. We apply standard 2 applications of crabgrass control instead of the standard 1 application to ensure superior results. Preventative Turf Care– we take measures to eliminate lawn problems before they begin. 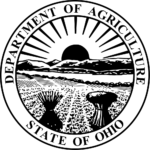 Care for All Ohio Grass Types– we know how to properly care for all commonly used local turf grass species. Lawn Core Aeration & Overseeding– aeration services pulling cores properly from you lawn at the correct depth to improve the health and look of your lawn. Offering premium seed at the proper rate fo a strong lush lawn. Insect and Grub Control – Using superior control to take care of the pest you might encounter. No matter your needs, Akron Canton Lawn Care has the solution to match your fertilizer and weed control needs in Tallmadge and Cuyahoga Falls Ohio! We are state certified applicators and guarantee your satisfaction 100% on our lawn care services. (330) 933-2222 or click the Contact Us button to send us an email. Would you like to learn more about Fertilization and Weed Control? Follow this link to find out more. Why are winterizer applications important for Fairlawn Ohio? Medina Ohio Asks: Is this Crabgrass? Is Yellow Nutsedge Inundating Your Copley, Ohio Lawn? ©2018 Akron Canton Lawn Care. All rights reserved.